Our Website enables you to post information to be accessed by others through our comments. When you do so, other visitors may collect your data and attempt to contact you off the site. R6D cannot be held liable for any offsite communications that result from your posting of personal information on our site. If you do not wish to be contacted offsite by other R6D visitors, do not give your e-mail address or website address in the content when leaving a comment. Please note: Although you are required to provide your e-mail address in the specified field when entering a comment, your e-mail address will only be available to the R6D website administrators and will not be publicly visible. We may use the information provided by users, such as e-mail addresses and contents of e-mail, for any marketing purposes. Your personal information is not used by subsidiary organizations or businesses related to R6D unless clearly disclosed for specific situations. All e-mails, comments or other forms of communication received by R6D are the property of R6D and may be used for editorial or technical improvements to the Website at our discretion without any form of compensation being owed to the sender of said communications. The Site and the Content are protected by U.S. and/or foreign copyright laws, and belong to RedSix Digital LLC or its partners, affiliates, contributors or third parties. The copyrights in the Content are owned by RedSix Digital or other copyright owners who have authorized their use on the Site. You may download and reprint Content for non-commercial, non-public, personal use only. 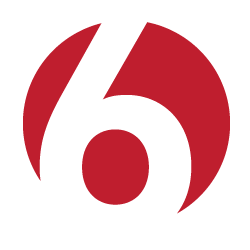 (If you are browsing this Site as an employee or member of any business or organization, you may download and reprint Content only for educational or other non-commercial purposes within your business or organization, except as otherwise permitted by RedSix Digital, for example in certain password-restricted areas of the). You may not manipulate or alter in any way images or other Content on the Site. RedSix Digital LLC retains all copyrights on any and all websites that are created by us for client projects, except in cases wherein it has specifically been agreed upon that upon completion of a contract, the intellectual property of the entire project shall be transferred and documented with a fully executed intellectual property transfer of ownership agreement. In the event that a client should wish to terminate service with RedSix Digital, a client may do so at any time with 30 days written notice. Upon the cancelation of services, any intellectual property that a client has provided RedSix Digital for inclusion in a project shall be destroyed and will be un-retrievable by RedSix Digital. Client agrees to hold harmless in the event of any loss of intellectual property provided by the client. In the event that upon cancelation if a client shall infringe upon RedSix Digital’s intellectual property, code, markup, licensed third-party software, code, or markup; images, or any other copyrightable content by transferring the design, assets, or files to another server or hosting provider without the express written consent of and /or a fully executed transfer of intellectual property assignment agreement signed and agreed upon by a Managing Director of RedSix Digital LLC, or the Chief Legal Officer, or a designee thereof, RedSix reserves the right to pursue legal action and seek remedies and equitable relief in accordance with United States Copyright laws. RedSix Digital cannot and does not guarantee or warrant that files available for downloading through the Site will be free of infection by software viruses or other harmful computer code, files or programs. If you purchase any paid Service from RedSix Digital, such purchases will be subject to the additional terms and conditions associated with such purchases. Please review the policies that govern your use of such Services, found in your executed proposal, titled “Terms and Conditions” in your proposal. Signing and acceptance of your digital proposal shall constitute a legally binding agreement. All proposals, when executed digitally, automatically record the date, time, and IP address for the execution of the agreement. RedSix Digital, nor any of its employees do not accept or consider unsolicited ideas, including ideas for new advertising campaigns, marketing strategies, new or improved products, technologies, services, processes, materials, or new product names. We have found this policy necessary in order to avoid misunderstandings should RedSix Digital’s business activities bear coincidental similarities with one or more of the thousands of unsolicited ideas offered to us. Please do not send your unsolicited ideas to RedSix Digital nor any employee thereof. If, in spite of our request that you not send us your ideas, you still send them, then regardless of what your posting, email, letter, or other transmission may say, (1) your idea will automatically become the property of RedSix Digital, without any compensation to you; (2) RedSix Digital will have no obligation to return your idea to you or respond to you in any way; (3) RedSix Digial will have no obligation to keep your idea confidential; and (4) RedSix Digital may use your idea for any purpose whatsoever, including giving your idea to others. However, RedSix Digital does welcome feedback regarding many areas of RedSix Digitals’s existing businesses that will help satisfy customer’s needs, and feedback can be provided through the many listed contact areas on the Site. Any feedback you provide shall be deemed a Submission under the terms in the User Supplied Information section below. RedSix Digital does not want to receive confidential or proprietary information from you via the Site. You agree that any material, information, or data you transmit to us or post to the Site (each a “Submission” or collectively “Submissions”) will be considered non-confidential and non-proprietary. For all Submissions, (1) you guarantee to us that you have the legal right to post the Submission and that it will not violate any law or the rights of any person or entity, and (2) you give RedSix Digital the royalty-free, irrevocable, perpetual, worldwide right to use, distribute, display and create derivative works from the Submission, in any and all media, in any manner, in whole or in part, without any restriction or responsibilities to you. If you become a client of RedSix Digital, or any of RedSix Digital’s subsidiaries, you are responsible for maintaining the confidentiality of your member identification and password information, and for restricting access to your computer. You agree to accept responsibility for all activities that occur under your member identification and password. b. Correction of Errors and Inaccuracies. The Content may contain typographical errors or other errors or inaccuracies and may not be complete or current. RedSix Digital, therefore, reserves the right to correct any errors, inaccuracies or omissions and to change or update the Content at any time without prior notice. RedSix Digial does not, however, guarantee that any errors, inaccuracies or omissions will be corrected. • Contact information sufficient to allow RedSix Digital to contact you regarding your claim; including your name, address, telephone number, and email address. C/O Legal and Compliance Dept.